I posted my first piece by Nevla about a week ago, and this is the second. Fortunately, I have a whole bunch more I can share, now that I know who the artist is. 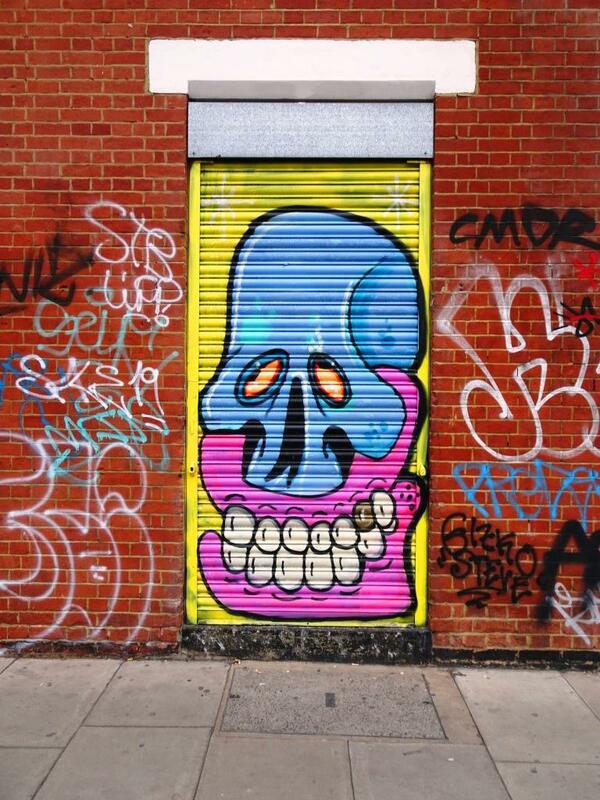 His cartoon style is something quite different and refreshing in Bristol as well as being really distinctive. His characters are usually framed by a red or blue border and tend to be black and white, almost as if he has drawn the cartoon using a flip chart and thick black marker pen. It is a pity that he favours tunnels, because the light is always poor and photographs dishonest.